Without fanfare in a press statement released by federal Environment Minister Melissa Price on February 18, the Minister announced the removal of a small coastal-dwelling rodent from endangered to the extinct list. This news made headlines in other countries such as the UK and the US, such as “Man-Made Climate Change causes its First Mammal Extinction in Australia”. Not so publicised in Australia – kept low key as possible in election mode. Years ago, the small rat-like rodent could be seen scurrying across the sand and coral rubble on the Australian island of Bramble Cay. 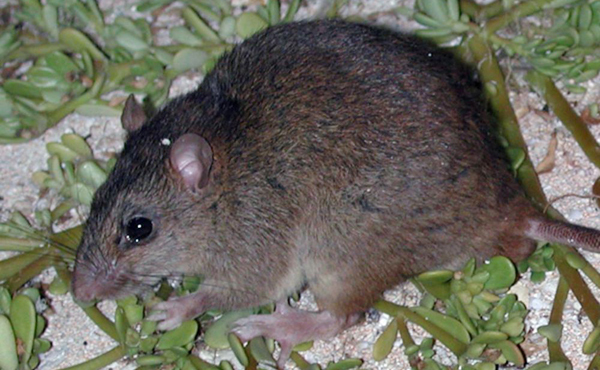 The Bramble Cay Melomys* was an endemic species of the isolated Bramble Cay a vegetated coral cay located at the northern tip of the Great Barrier Reef. Described by researchers as having been seen in 2009 and declared extinct by University of Queensland researchers in 2016, it was formally declared extinct by the International Union for Conservation of Nature (IUCN) in May 2015. Its extinction was described as the first extinction of a mammal species due to anthropogenic climate change. Federal and state governments must do more than just lip service on climate change: our youth have shown the depth of concern with school strikes and demonstrations, but more action is required to shift parliamentary head out of the sand. No easy task but it must be done as quickly as possible. *Melomys is a genus of rodents in the family Muridae. It contains species which live in the wet habitats of northern Australia (Far North Queensland), New Guinea, Torres Strait Islands and islands of the Indonesian archipelago.